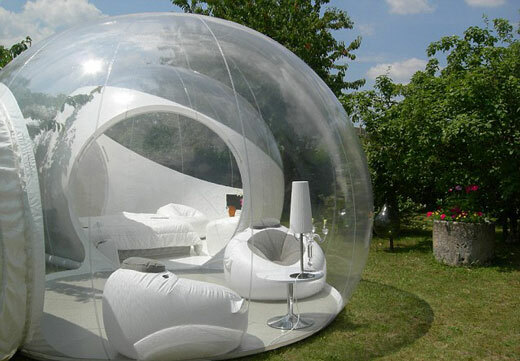 Above picture might look like a giant fish bowls, but it is actually a totally see-through inflatable tents. 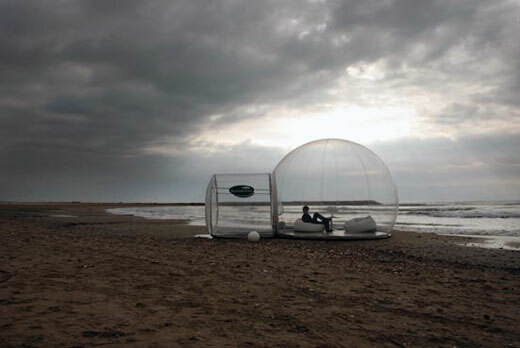 For a mere £400 a night, tourists can spend an evening in the transparent inflatable BubbleTree. 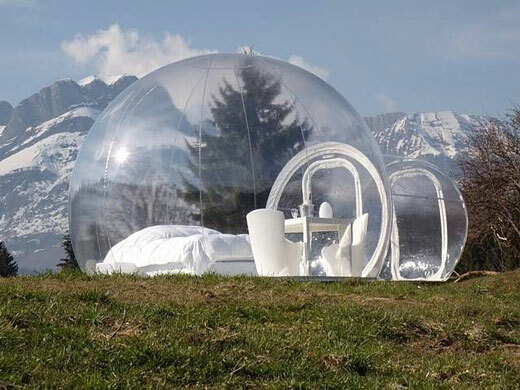 Created by French designer Pierre Stephane Dumas, the bizarre transparent structures are designed to get people as close to nature as possible. 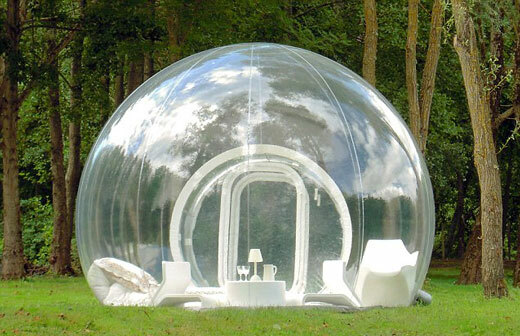 French designer Pierre Stephane Dumas said his ‘BubbleTree’ creations are ‘unusual huts for unusual nights’. He explained: ‘Having a night under the stars or seeing the sun rise and set is not something that many people experience anymore. 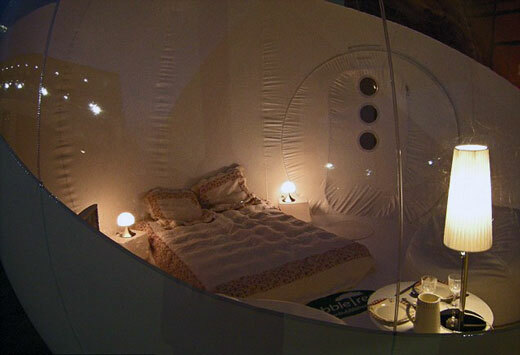 Another is a luxury tent called the BubbleLodge, which is more like a hotel room built with an additional space that can either be used as a bathroom or smaller bedroom for the kids. Once inflated, the tent is kept in shape with an airlock at the entrance and a silent pump, which keeps constant pressure on the surrounding walls.